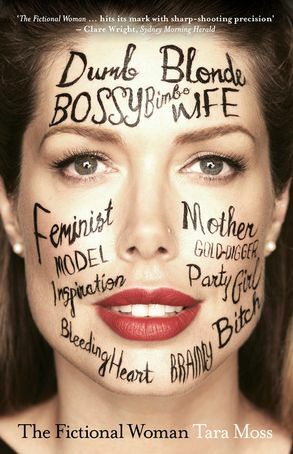 In her tenth book and first work of non-fiction, Tara Moss blends memoir and social analysis to examine the common fictions about women. She traces key moments in her life – from small-town tomboy in Canada, to international fashion model in the 90s, to bestselling author taking a polygraph test in 2002 to prove she writes her own work. In her tenth book and first work of non-fiction, Tara Moss blends memoir and social analysis to examine the common fictions about women. She traces key moments in her life – from small-town tomboy in Canada, to international fashion model in the 90s, to bestselling author taking a polygraph test in 2002 to prove she writes her own work – and weaves her own experiences into a broader look at everyday sexism and issues surrounding the underrepresentation of women, modern motherhood and bodily autonomy, sexual violence, body image, and the portrayal of women in politics, entertainment, advertising and the media. Deeply personal and revealing, this is more than just Tara Moss’s own story. At once insightful, challenging and entertaining, she asks how we can change the old fictions, one woman at a time. ‘The Fictional Woman has really opened my eyes. I continue to view the world differently… Everyone would benefit from reading this book. I couldn’t put it down!’ – Rosie Batty, Australian of the Year, family violence campaigner. ‘A remarkable book – the kind that rewires your brain and its preconceptions in the best way possible. Intelligent, riveting and invigorating.’ – Benjamin Law, author and journalist. BUY NOW The Fictional Woman at HarperCollins Publishers, available in ebook and print. The journalist and human rights advocate blended memoir with social analysis in a way that struck a chord with women all over Australia [with an] accessible and intelligent discussion of women’s place in the world. Moss is a serious thinker…Apart from general consciousness-raising, this book will deservedly become required reading on school curricula for Media and Cultural Studies. Moss’ skill is in once more marshalling the evidence and communicating it in a way that is accessible, warm, open, lucid and passionate. a strongly written book, and really, really worth reading. A nimbly argued, statistic-laden exploration of the various labels we give women and the impact this has on their lives. This book, part memoir, part manifesto, catapults [Moss] into the frontline as a public commentator who demands serious attention. She is a welcome addition to any conversation about social justice, public ethics and the objectification of women, about which she knows a great deal. A blend of memoir, robust research, informed discussion and optimistic hope for change. Eminently accessible without ever condescending or dumbing down, it’s also a discussion about the gender based power structures, both historic and current, that limit the opportunities available to men and women. Well written, clearly argued, informative, powerful and thought provoking. Forget everything you thought you knew about Tara Moss, with The Fictional Woman Tara sets the record straight and takes her place as one of our generations great commentators.